Limkokwing University students Bhekilanga Wakhile Kunene and Phesheya Ian Kunene, who have been working as interns at Swaziland’s Media Institute of Southern Africa, launched their documentary — “The life of a Swazi student” — at the premiere screening at Limkokwing on Thursday 5 December, 2013. The packed room of about 5o people, filled mostly with fellow Limkokwing students, applauded the work of Bhekilanga and Phesheya. These are some of the questions raised in the documentary. 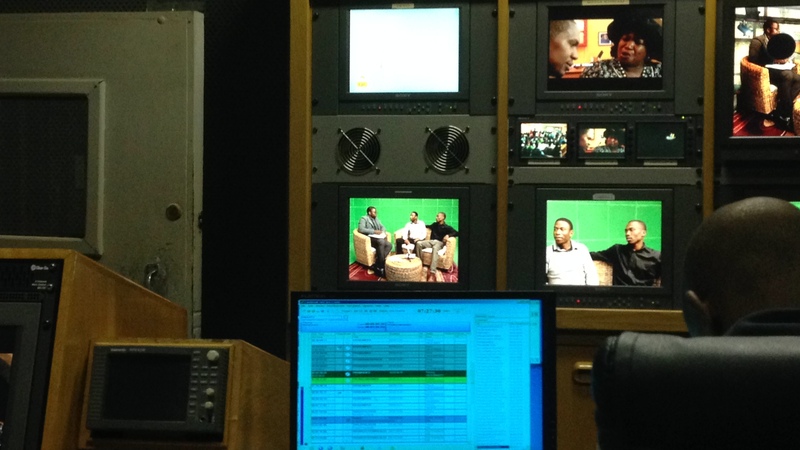 The documentary also includes interviews with Limkokwing lecturer Kemmonye Kamodi, former Uniswa student Patrick Myeni, and former minister of labour and social security Lutfo Dlamini. “The driving motivation behind the film, in addition to giving students a voice, is to foster an ongoing conversation about tertiary education in Swaziland,” said co-director and producer Phesheya. The interns were working at MISA-Swaziland as part of Limkokwing University’s LEAP program. LEAP stands for Limkokwing Entrepreneurship Acceleration Program. Manager of the LEAP program, Nkosilenhle Masuku, greeted the guests at the premiere and congratulated the students on their hard work. 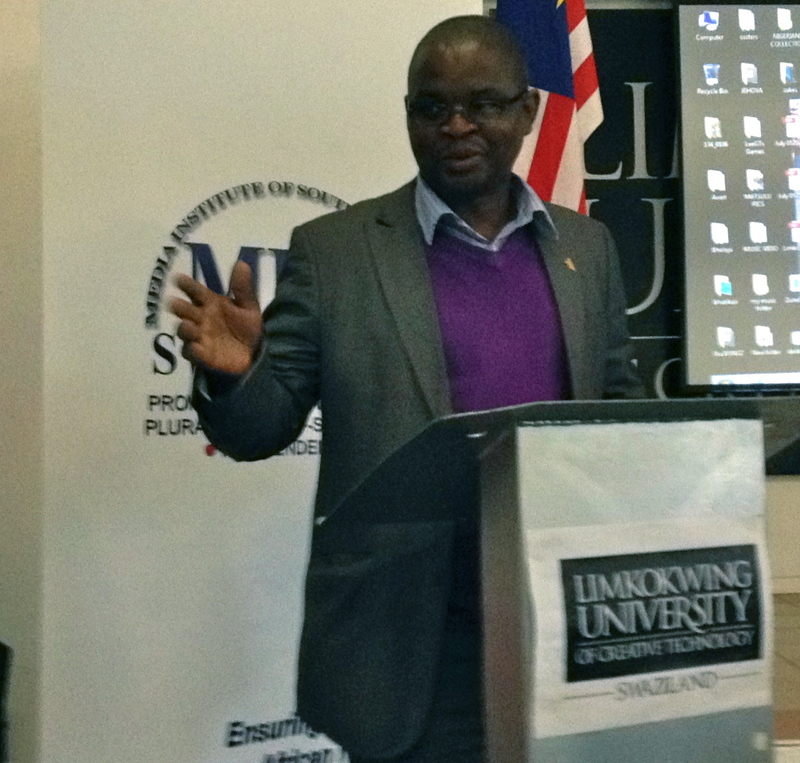 Alec Lushaba, chairman of MISA-Swaziland, also spoke at the event. He thanked Limkokwing for running the internship program, and said MISA-Swaziland is looking forward to working together on similar projects in the future. 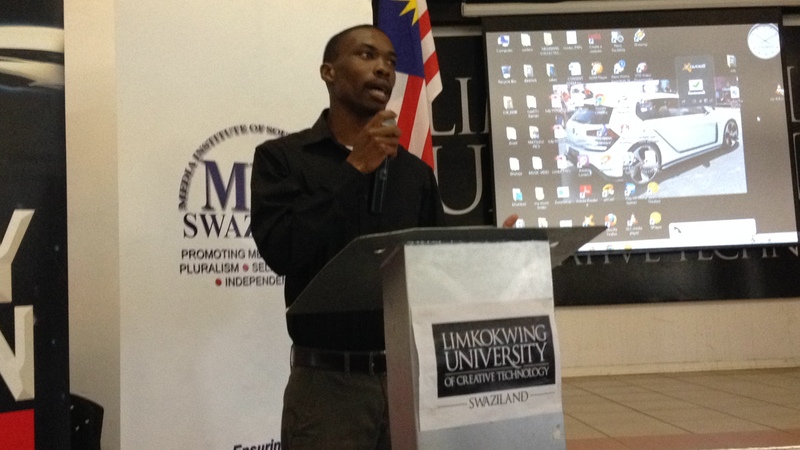 He added that MISA-Swaziland has seen the interns grow and improve as the internship program has progressed. The documentary can be seen on YouTube. Click here to be re-directed to MISA-Swaziland’s YouTube page to watch the documentary. Tags: Bhekilanga Wakhile Kunene, documentary, film, Limkokwing University, media institute of southern africa, MISA, Phesheya Ian Kunene, students, swaziland. Bookmark the permalink.